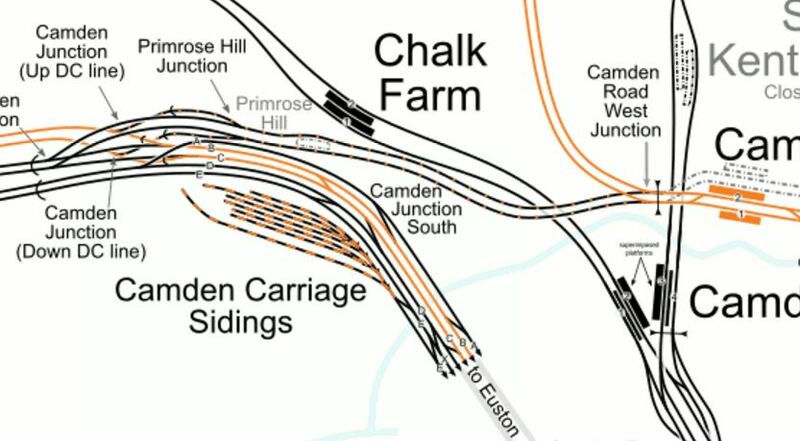 I’ve been trying to discover why the East London line, with its 3rd rail, has not been considered for extension via Camden Town and Primrose hill? As all it would require is the widening of about 100ft of viaduct just west of Camden Road I do not see why it has never been considered? This would give a fully separate ELL route to the Watford DC lines and keep the trains out of Euston. There is space for the viaduct if you remove 1/2 houses and it appears that space has been left in the new development in the area for a viaduct extension? Just curious as to your thoughts? They are thinking about this and it was talked about in Wikipedia. At times, they run services as I pointed out in the post. But I think, it’ll all happen after Crossrail, as the next line to be improved is the Northern City Line which connects Highbury and Islington and Moorgate stations. By then the GOBlin will be electrified and I suspect that the Dudding Hill Line could be electrified to take electric freight trains across London from Barking to Acton. Who knows what will happen at Old Oak Common? The Watford DC lines were a City service to Broad Street, they only got diverted to Euston. With HS2 there will not be room for local suburban services just as with HS1 at St.Pancras. The only unique purpose for the DC service is at South Hampstead, Kilburn High Road is close enough to Kilburn Park as an alternative. Eventually the UK will require level platform boarding so either underground or national rail will remain after Queens Park not both. 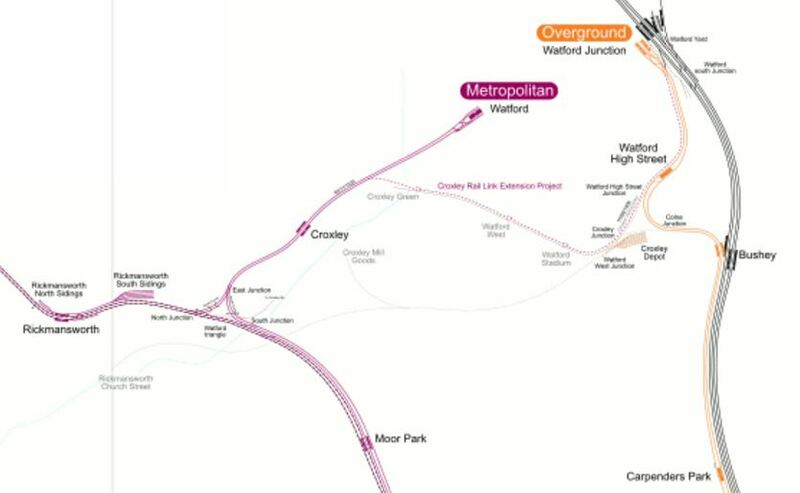 With Metropolitan service at Watford Junction a Bakerloo extension would create an out of centre interchange. Counter-flows are good for peak management. 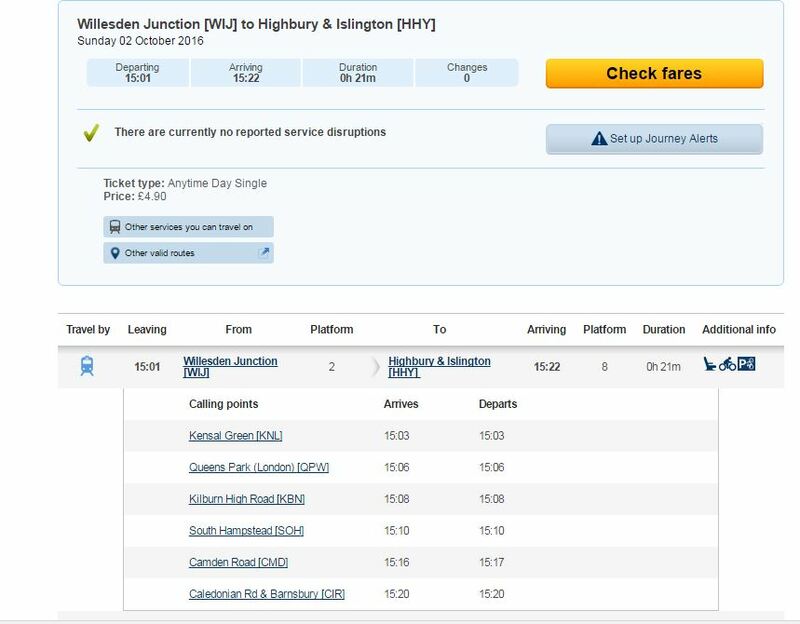 With HS2 more Midland trains will be able to stop at Watford Junction, Harrow, and Willesden Junction. Passengers will be able to interchange and travel faster to more places. The city East London line will become busier through the core with half of the services terminating at Dalston Junction. At Highbury platform 1 terminates but Platform 2 could continue through services to Willsden Junction Bay Platform 2. Battersea Park will need more services when future development is finished as an example. This use would finally restore a DC City service avoiding Euston.